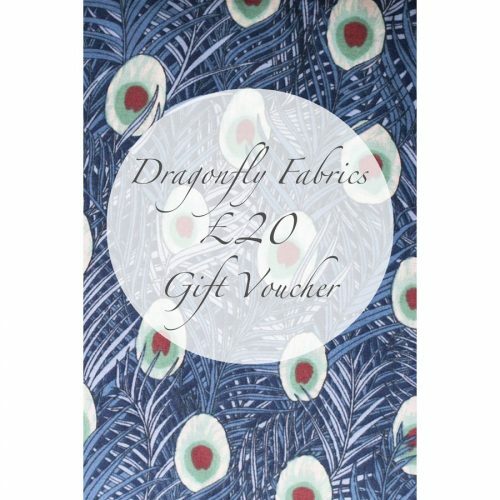 A Dragonfly Fabrics gift voucher makes a fantastic present for someone who loves fabrics and dress-making. To send an eGift Voucher, click on the voucher you would like to give. Then fill in details of where you would like the voucher sent and add a message to the voucher. You can even add your own picture via the customize link. We will then email the eGift Voucher to the recipient on your chosen date. Alternatively, we can post a physical gift card voucher to someone, if you prefer. Please email us at sales@dragonflyfabrics.co.uk and we can arrange this.